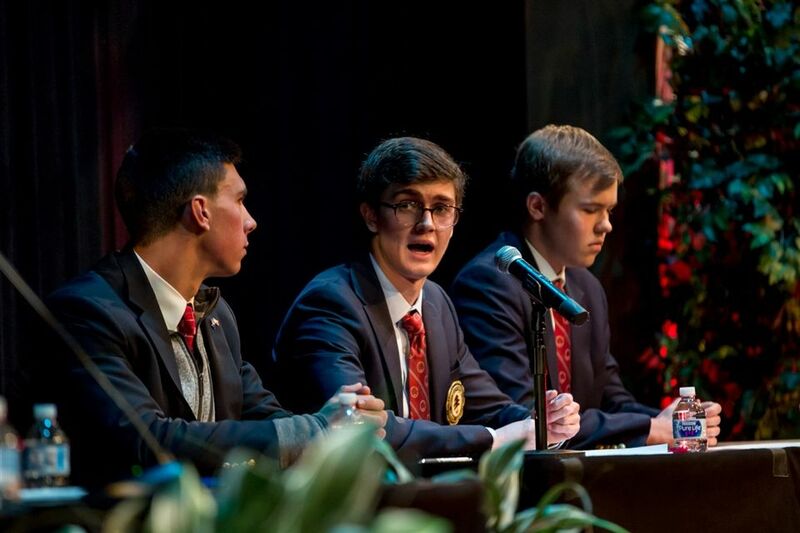 The anti-wall side included seniors Charlie Ciporin, Will Maynard, and Jonathan Wiener; the pro-wall side included fellow classmates Christian Hartch, Ryan McMurchy, and Hank Michalik. 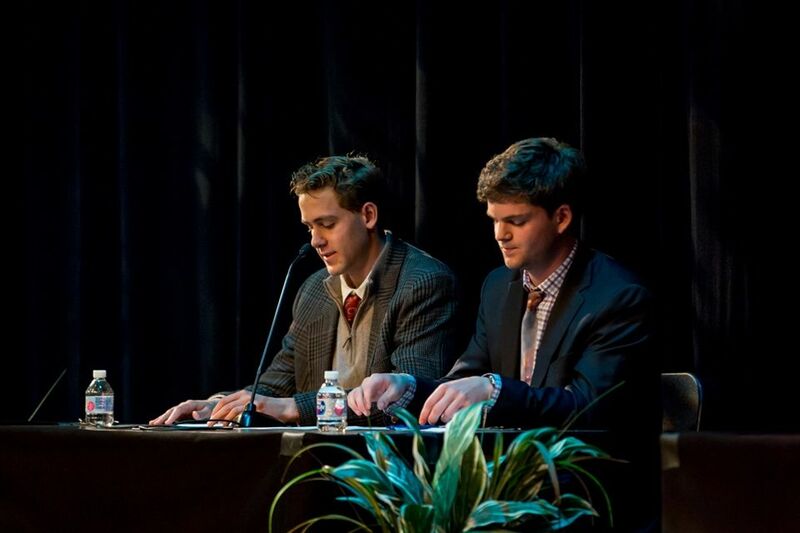 Seniors Tommy Kimberlin and Cole Pierce served as moderators. 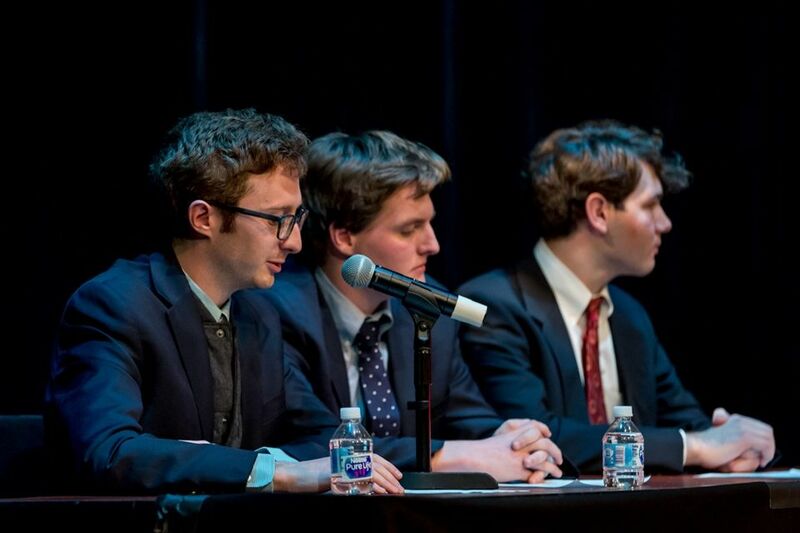 “The Brunswick Student Union was started with the goal of demonstrating civil discourse in the context of highly controversial issues,” Pierce explained to the audience of Upper School students and faculty. Both sides presented three arguments supporting their case, each of which was followed by the opposing side’s rebuttal. The side making the initial argument then had one final opportunity to respond. Each side concluded with a one-minute summary — and a 10-minute Q & A followed. 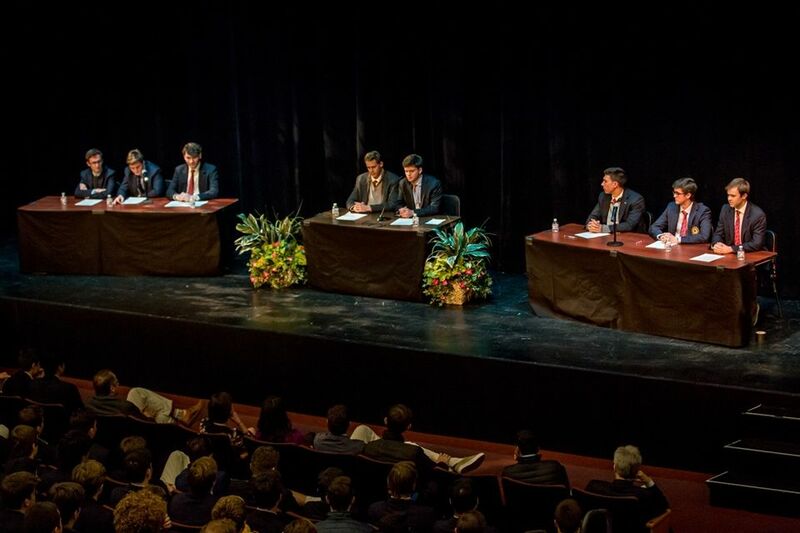 “It is important to realize that we’re all living in a time where people are very divided about the hot-button topics,” Headmaster Thomas W. Philip said. Kimberlin concluded the exercise by encouraging his fellow students to follow the example set by the participants on stage. “Although, yes, much of this discussion was prepared, it’s a model that we should all try to emulate the next time we have an important discussion,” he concluded. “Equip yourself with facts, be rational, and don’t make it personal.